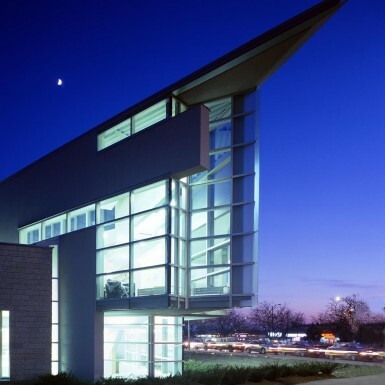 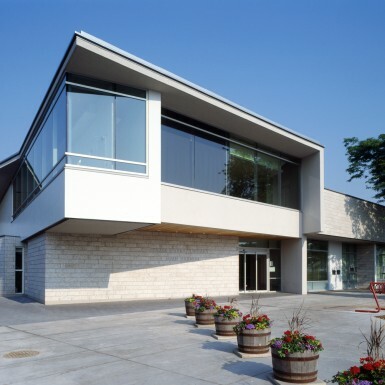 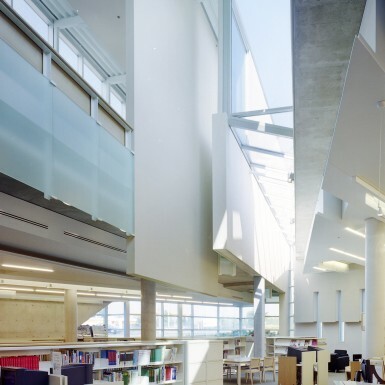 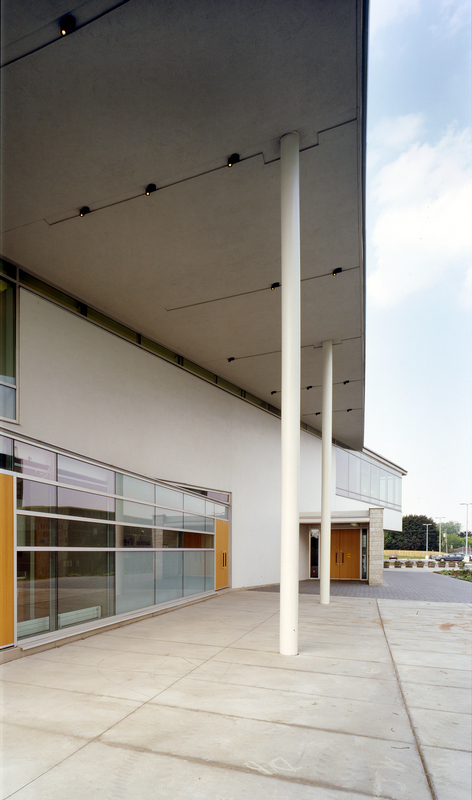 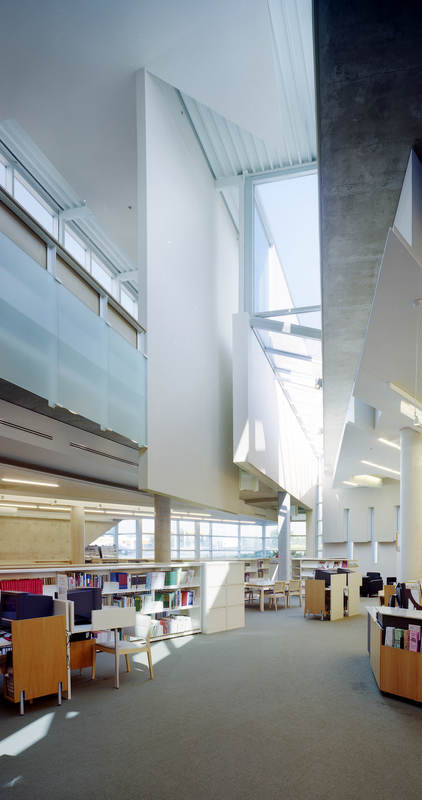 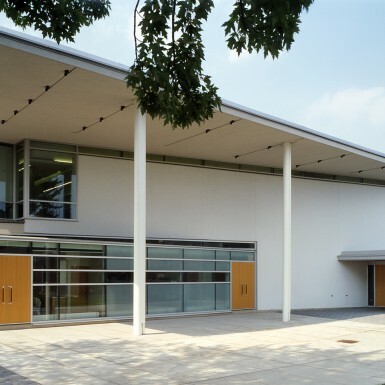 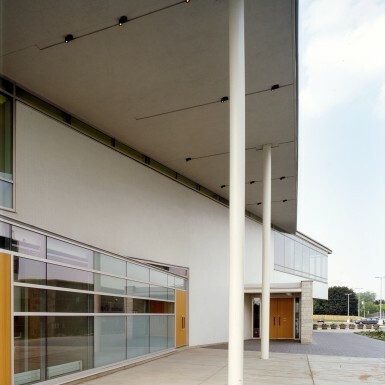 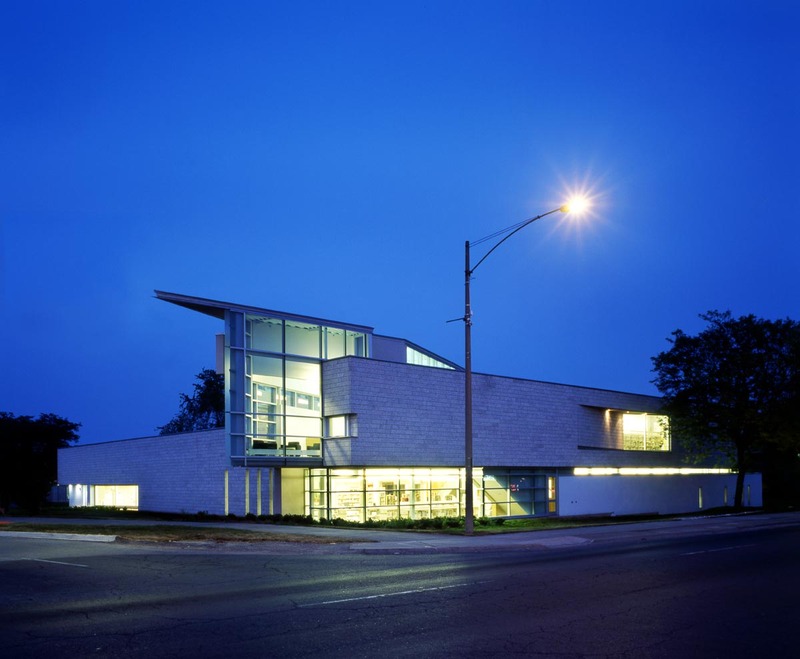 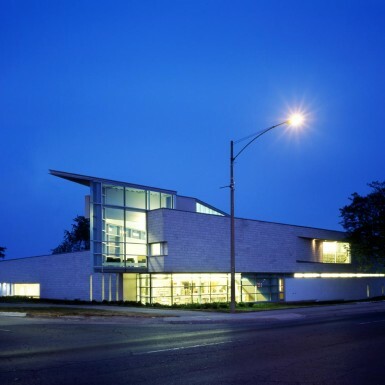 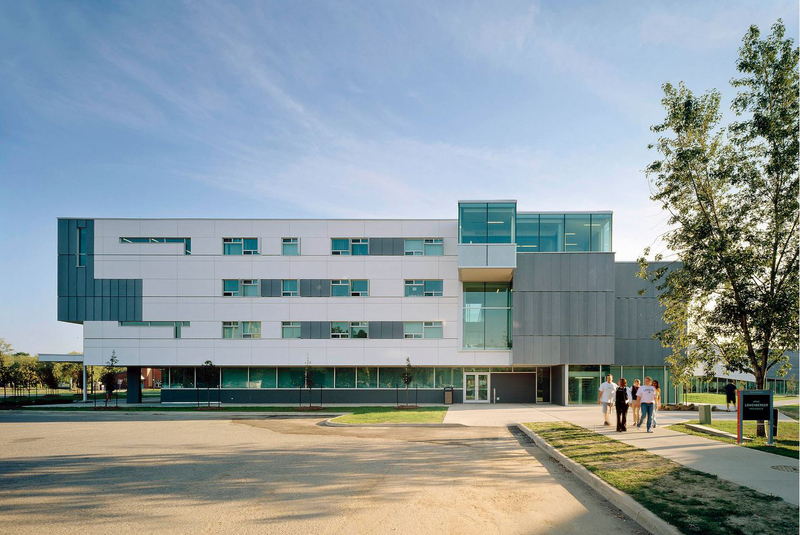 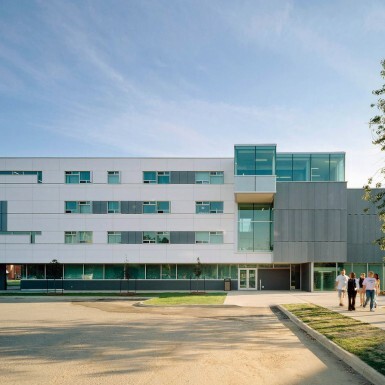 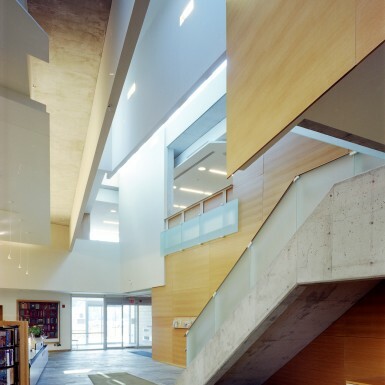 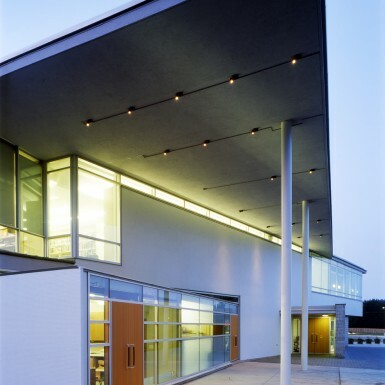 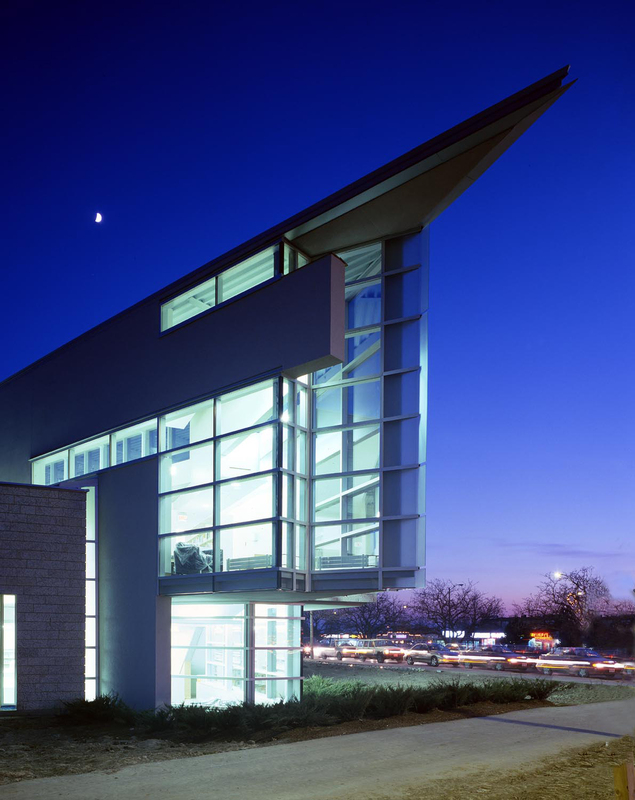 This library creates a new gateway into Ajax, a suburban city east of Toronto. 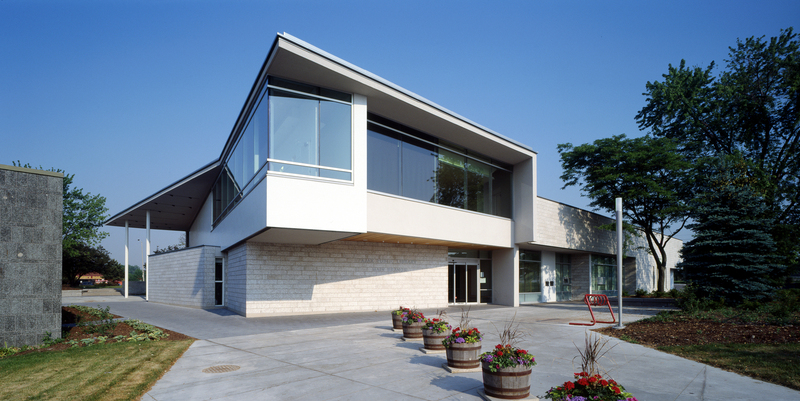 The siting and massing of the building is carefully considered to define and urbanize the adjacent civic space. 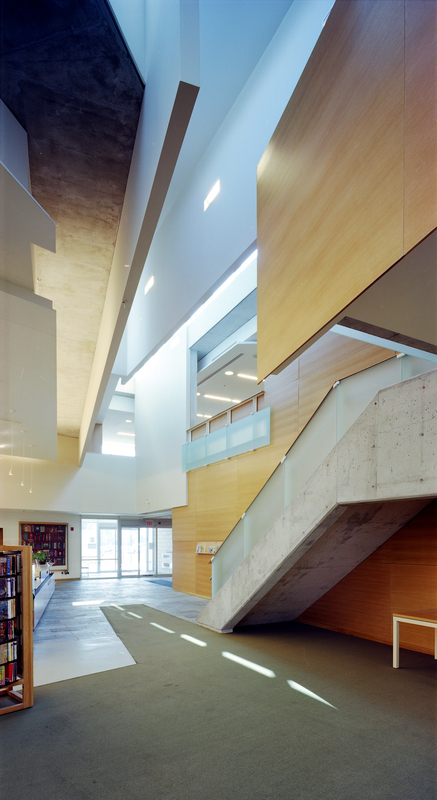 Upon entering, the simple square plan of the first floor creates spaces that are easy to navigate and operate. 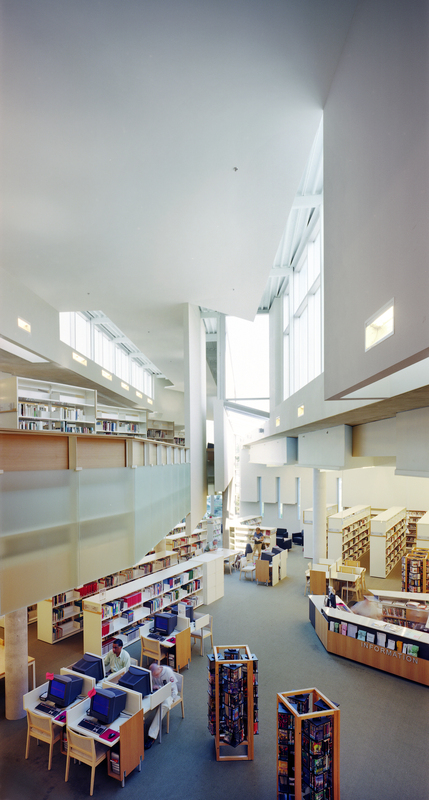 The increasingly dynamic second floor is a boomerang-shaped volume with a sculptural skylight perched above. 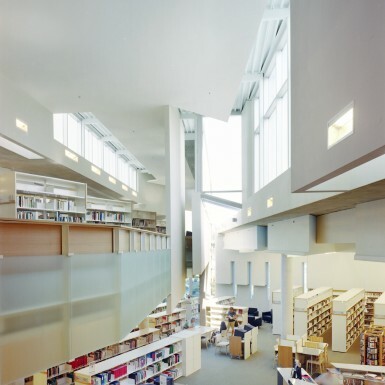 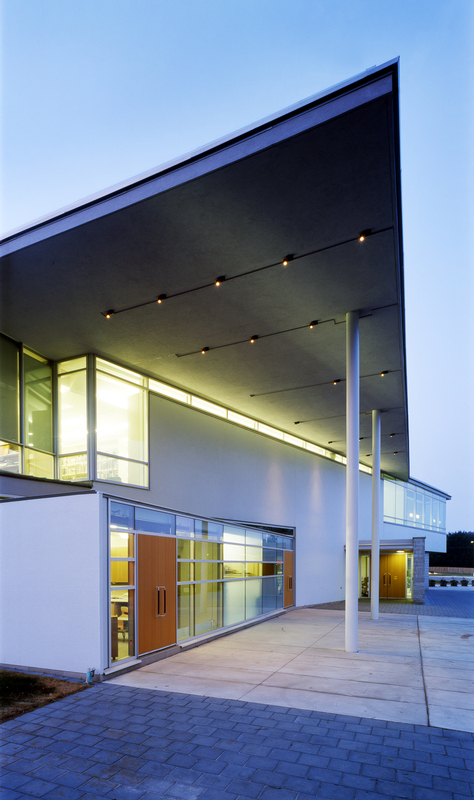 The reading room, located at the junction of the building geometries, extends toward the intersection of street and highway and acts as a luminous beacon.